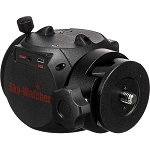 Give your mount a SMART UPGRADE using the SynScan Wifi Adapter with the FREE APP to explore our star database of over 9000 stars, deep sky objects, star clusters, nebula. Access massive amount of information to assist your observation at the palm of your hand. Use our built in functions to control your mount just like a synscan controller and much more! With the adapter plugged, in you can connect the mount to the SynScan App and use your mobile device to control and align your telescope. 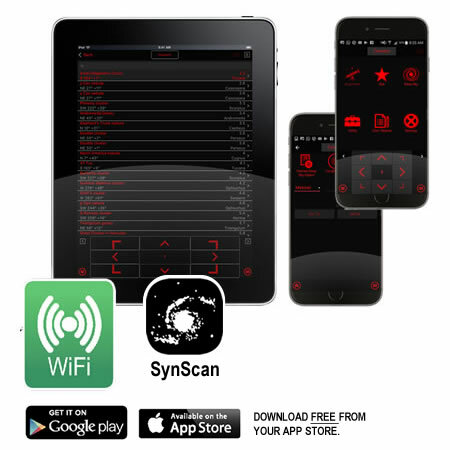 Download the FREE SynScan app from Google Play or Apple App Store. 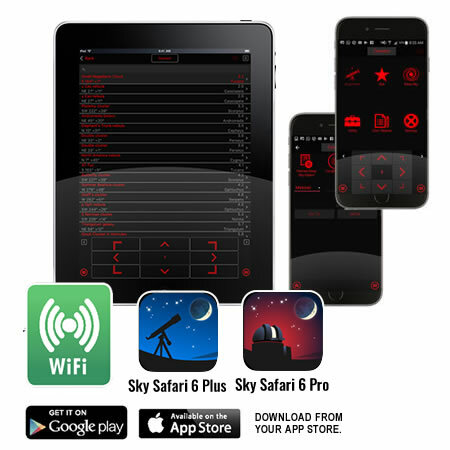 Also works with SkySafari Software (Sky Safari 6 Plus & Sky Safari 6 Pro) – find the Apps here. Download the Instructions for using the App. I have recently purchased this in the hope that I could control my SkyWatcher 250P GOTO dob with SkySafariPro on my Samsung Phone. The provided handset does not seem to have a straightforward means of correcting an imprecise alignment without going through the whole alignment process again. In SkySafari the align button does this with just one press. The unit itself is quite small (see pic) and plugs in place of the handset. The app "Synscan" is needed from Android Play Store or the Apple App Store for any ALT-AZ mount. "SynscanPro" is needed for RA-DEC mounts. 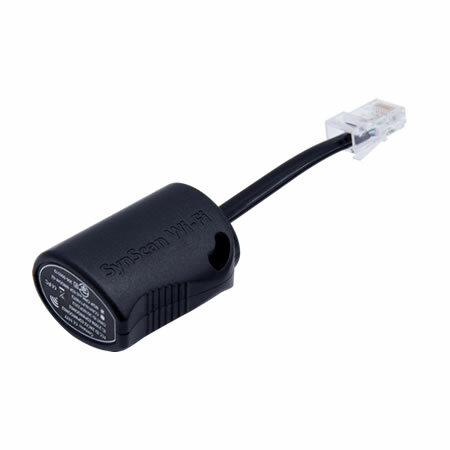 As long as the phone or device is set to connect via WiFi and the Synscan signal is chosen that is very straight forward and will connect readily. For me the "fun" started when attempting to connect via SkySafari. I did watch a couple of YouTube videos but the instructions given did not work for me. There are no instructions provided with the adapter but there are some within the Synscan App. (although not very obvious). The settings for SkySafari need to be as follows. SkySafari should then be able to connect to the mount via the Synscan App. In my case it did not. Much hair tearing (not that I have much!) and a few hours later it did connect and then later did not. Over the next 24 hours I managed to get connection twice but many times no connection. To cut a long story short it turned out that I had my phone using a battery saving mode and the two occasions it had worked was when the phone was connected to the charger. So out of battery saving mode and it works smoothly every time. Advantages of using the WiFi adapter. 1. Obviously no lead. It works at distances greater than you would need - I went into the next room and could still control the scope. 2. Much easier to read than the one line at a time on the handset. Particularly useful when choosing alignment stars - you can see a long list straight away. 4. Within the Synscan App there is a cool feature where the scope will goto the direction you are pointing the phone (or other controlling device) and you can then have all objects nearby listed for potential goto. 6. The sync facility in SkySafari is great e.g. on an open evening a child grabs the eyepiece and moves the scope off target, one button push and it will return. 7. The obvious advantage of using a star chart to choose an object. e.g. for finding things like the double cluster or double-double when you cannot remember the ngc or ic number. WARNING - Since getting the adapter to work on my phone I have not had the opportunity to test it under the stars. Should I find it does not perform as expected I will report back. At this stage I am delighted with my purchase.